GameEx is a graphical DirectX based front-end for MAME™ , Zinc, Daphne, PC Games, and all command line based game emulators, along with being a good Home Theatre PC solution.™ Simply put, GameEx is likely the best emulation front-end ever devised, and makes emulation setup easier. First download and install MAME™ as instructed. 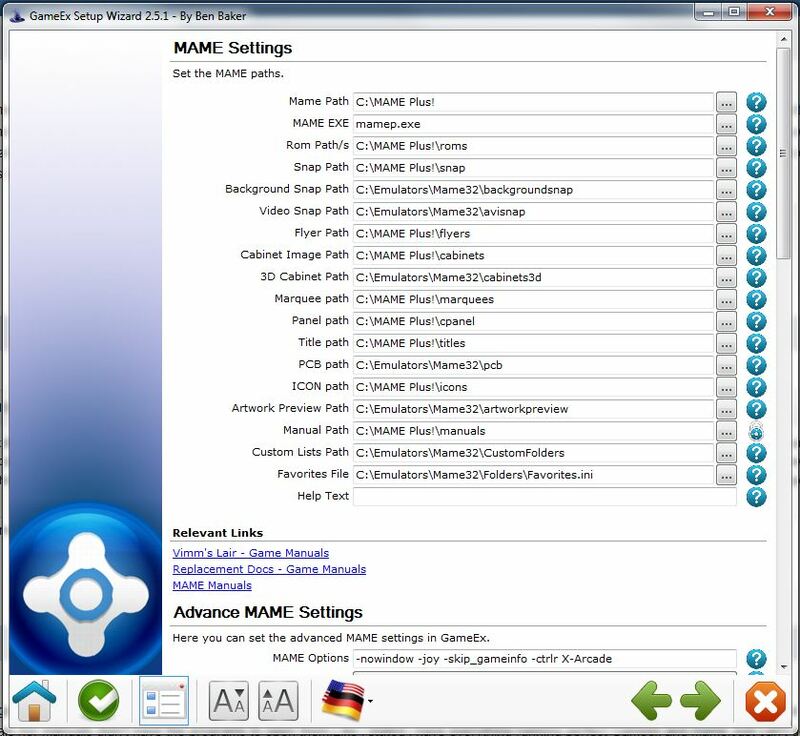 Install GameEx, and when you get to the MAME™ configuration, change the directories to the ones where MAME™ was installed in step 1 as shown in the image below. Under "Advanced MAME Settings" be sure to add "-ctrlr X-Arcade" as shown below.